Here at Laser Skirmish your safety is our priority. Laser Skirmish, while thrilling, is a safe activity. We have no paint, no mess, and no projectiles. The phasers emit infrared (just like a TV remote) so it is eye-safe. The game system has been built around a safe, robust and reliable high-tech infrared phasers. Our gaming guns are formidable because they are made robust polycarbonate or from metal, so they look cool. Our small gaming guns are highly manoeuvrable. No lasers - Our Laser Skirmish system does not use real lasers. Rather that system emits infrared (like a TV remote). No Projectiles - The laser skirmish system does not shoot paint - so no bruises from getting hit. 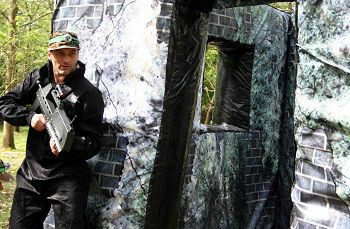 Cool SFX & LFX - Our laser skirmish system has loads of cool sound effects (SFX) and light (LFX) effects. In fact our new SATR3 system has more than 11,000 SFX. Yes. Laser Skirmish equipment emits a harmless and invisible beam of infrared light. With an effective range in up to 150 meters, realistic digitized sounds and multiple modes of fire this is technology with attitude! We have a selection of gaming guns for use. The gaming guns we use include: Scorpions, Commando Carbines & Cobra phasers. The size and weight of unit issued to you will depend on your age/size/fitness etc and will be evened up across the competing teams to make it balanced. The kit is the best available on the market. You'll love the sound effects! Laser Skirmish has public liability insurance. Rest assured we carry public liability insurance cover. You do not need to wear protective glasses to play laserskirmish. While the game is a called "Laser Tag" or "Laser Skirmish" are actually no lasers. In fact we use infrared, just like a TV remote control. So is it eye-safe. What are the Parent/Child Ratios? * Age 11-14: Recommend at least one person over 16 play with the kids/teens. Yes. Download our Risk Assessment Pro-Forma, click here. Yes. Laser Skirmish has a Certificate of Currency for our Insurance. Download it, click here. "Amazing! Our kids had the most fabulous time. Cheers ..."
"I was dreading the birthday party for our 9 year old. What to do with a group of boys for three hours? Laser Skirmish was easy and top notch fun for all. The kids dressed up in camo gear and just ran and ran. They all loved it and now our 10 year old can't wait to have a birthday party so that we can do it all again." Our laser skirmish guns emit infrared, just like your TV remote. So the beam of light is invisible and harmless. So there are no bruises from being hit. No pain, just a lot of fun. Unlike paintball, with laser skirmish you won't get bruises from being hit. No pain, just a lot of fun. You will know when you have been tagged because there are cool sound effects. How long before/after can we stay? We allow players to arrive half an hour before the event and stay up to an hour after the event. If you want to be on site longer contact the office to see if this can be arranged. We request that you and your guests arrive 20-30 minutes prior to your event start time. This is to enusre that your laser skirmish experience begins on time and that none of your party-goers miss out on any of the fun. For the venues Mt Cotton, Mt Crosby, and Samford you are welcome to bring your own picnic. For the venue at Tamborine Food and beverage should be purchased within the resort. For all venues it is a good idea to bring a water bottle. Do I need to book before my event? Yes. Bookings are essential for all sessions. Better still if you pre-pay you get a big discount. (Adults play at kids' prices.) Call us to book PH 1300 666 559. Do you still play if it rains? Yes. We will play through the showers or rain, only pausing for a thunder or lightning storm if deemed unsafe. We will normallyresume the game when storm has passed. ALL SALES ARE FINAL. No credit, refund, exchange, or compensation will be paid for persons not present at the date and time of the event, unless there is inclement weather click here to see the full refund policy. Everyone must wear long trousers, such as jeans, past their ankles. Everyone must wear covered footwear. If you have hiking boots wear them, if not runners are okay. To take the advantage in the laser tag game rent camo outfits. * Hire camo coveralls which go from your neck to your ankles (in this case arrive in t-shirt and shorts so you can pop the coveralls over the top). * Or rent the camo shirt. You are welcome to wear your own fatigues, if you have them. If you wear your own clothes then we recommend camouflage or neutral tones, so that it is not too easy for your opposition to spot you! I've seen one player come in a bright orange sweat-shirt, needless to say he was a good target! It is a good idea to bring sun-screen or insect-repellent. "Loved it. The new “Battle Royale” mode was a huge hit with my son who is a massive Fortnite fan." We recommend school age and up. We don’t have age restrictions but do recommend anyone under the age of six plays with their Mum or Dad at arm's length. All gamers need to have a Membership Form signed prior to play. If you are over 18 then you can sign the form yourself. Otherwise you need to ask your Mum or Dad (or carer) to sign it on your behalf. No form, no play. We recommend that you have the Membership Form completed before arrivate so you can save admin time! Is Laser Skirmish ok for people with Disabilities? 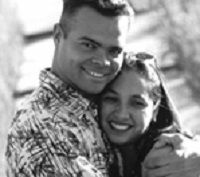 To cater for kids with additional needs it might be better to consider our laser tag rental option, see our blog on the NDIS. 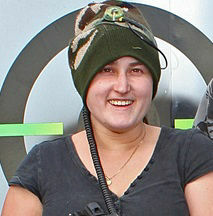 Laser Skirmish at Mt Crosby and at Tamborine can cater for up to 100 players at a time. The minimum number of players to open a session is 6 but if a session is already open you can add in just one extra player.